On April 23, 2019, the Cuba Program of Sergio Arboleda University in Bogotá, Colombia, will sponsor its "Second Dialogue on Cuba." CRI Director Jorge Duany has been invited to speak about Cuban émigrés and their economic links with their country of origin. In his presentation, Dr. Duany will review the swift demographic and economic growth of the Cuban population in the United States, particularly in Miami. Furthermore, he will analyze the growing economic ties between Cubans on and off the island, especially in the post-1995 migration wave. 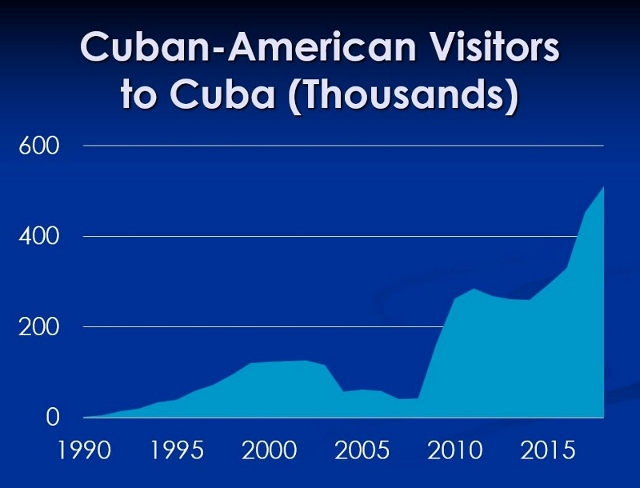 Dr. Duany will focus on the economic impact of Cuban-American remittances and travel to Cuba. More broadly, his presentation will assess the contribution of Cuban émigrés to the "non-state" sector of the Cuban economy, mainly in the self-employed labor force. The Cuba Program of Sergio Arboleda University is committed to academic reflection and dialogue with democratic sectors in Cuba to sensitize civil society in Colombia about the economic, political, and social situation on the island nation. The program seeks to be a strategic thought center of reference in Latin America to study the history, politics, culture, economics, and society from diverse perspectives and with a democratic and liberal orientation. For more information on the program, follow this link.